2018 is almost over, 2019 is just around the corner and this means more kdramas to come! While there are so many interesting kdramas that aired recently, there will be even more interesting kdramas coming in 2019. 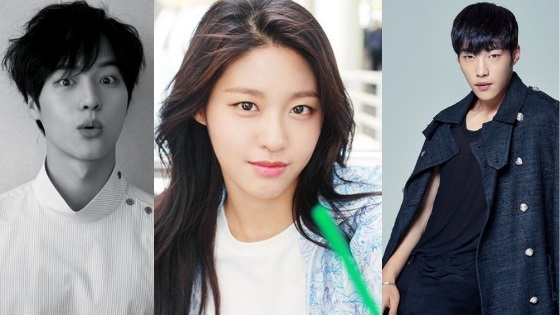 Some of the actors coming back to the small screen for the first time in a long time, kdramas fans are super excited about 2019 already! So I thought it would be a good idea to share a list of upcoming kdramas of 2019 (the ones we know about so far). Probably one of the most anticipated kdramas of 2019 for a while now. While his lovely wife has already returned with a drama following “Descendants Of The Sun,” Song Joong Ki is yet to do that. 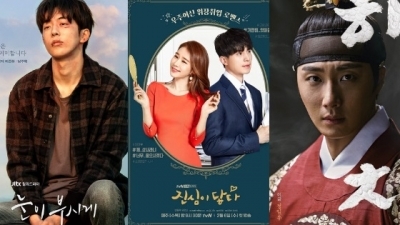 Broadcast date: the first half of 2019 on tvN. The casting has already been confirmed back in July, he will be joined by Kim Ji Won and Jang Dong Gun, Park Byung Eun and many others. Jang Dong Gun will play the role of Ta Gon who is a war hero that leads the city to victory while Song Joong Ki plays the role of Eun Sum who was born with the energy to bring disaster to the land. Kim Ji Won will play the role of Tan Ya who is the successor of the Wahan Tribe, she dreams of becoming a politician. The drama will be directed by PD Kim Won Suk who recently worked on the masterpiece that is “My Ahjussi,” it’s written by Kim Young Hyun and Park Sang Yeon who worked on “Six Flying Dragons” and many other hit historical dramas. “Four Sons” was a drama I talked about in 2017, it was highly anticipated and scheduled to air in 2018, however, due to many complications, the drama shooting has been halted and its fate is unknown. Almost all of the leading cast and crew of the drama (including the director) have already dropped out due to many issues with filming. 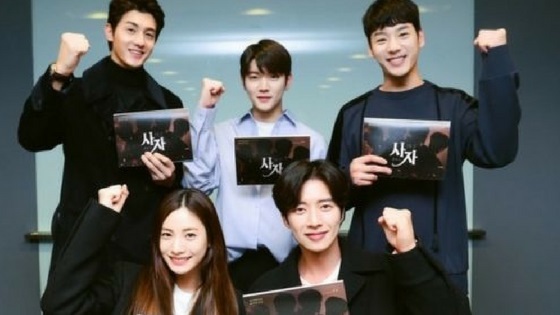 The drama will be 100% pre-produced and will tell the story of a female detective who meets the quadruplet brothers of her previous lover, Lee Si Ah (previously played by Nana) will play the younger detective Yeo Rin while Park Hae Jin (originally) played the four sons. The young detective is determined to dig into the death of her lover and gets entangled in unexpected events. 2017 was a sweet year to many kdrama fans; a lot of people remember “Strong Woman Do Bong Soon” as one of the biggest kdramas of 2017. Not much else about the leading cast has been confirmed yet. 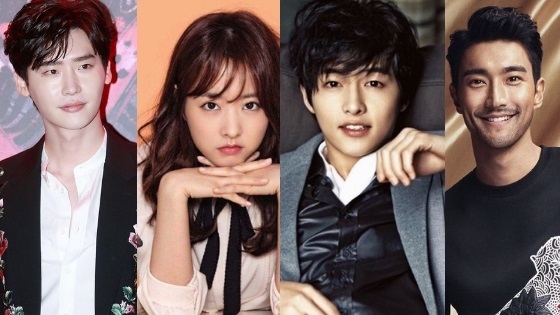 For now, all we know is that Park Bo Young will play the lead female, more details are yet to be revealed. Broadcast date: First half of 2019. It tells the story of a pretty prosecutor (Park Bo Young ) and an ugly man whose faces completely change due to a mysterious bread. The beautiful woman turns into an ordinary looking woman while the ugly man turns into a handsome man. The prosecutor tries to dig into the truth and finds love during the process. A lot of fans are dreading an upcoming moment, the moment that Lee Jong Suk will have to say goodbye because of his pending military enlistment. This will be Lee Jong Suk’s last project before his military enlistment. 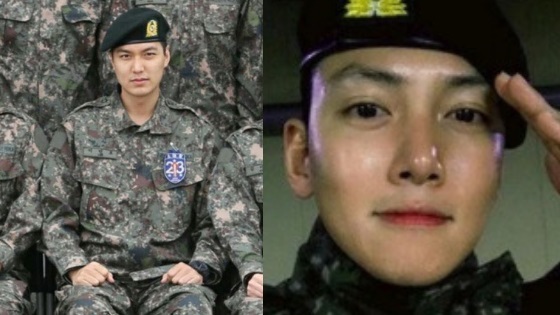 He will be turning 30 next year and according to the Korean military law he has to fulfill his duty for his country. 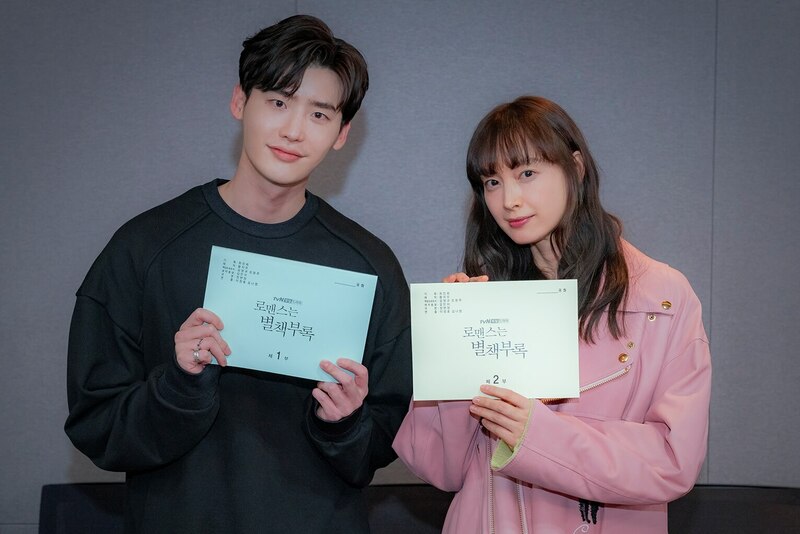 The drama gained a lot of attention not for only being Lee Jong Suk’s last drama before enlistment but for also being actress Lee Na Young comeback project to the small screen for the first time in 9 years since her last drama back in 2010. It tells the story of a genius writer named Cha Eun Ho (Lee Jong-Suk) and a has-been popular copywriter Kang Dan Yi (Lee Na Young). Cha Eun Ho is the youngest chief editor ever at his publishing company. He is smart and handsome and has a warm heart. Kang Dan Yi used to be a popular but not anymore, she is now broke and unemployed. Because of her impressive resume, she is unable to find a job, however, she lies her way through to a job at Cha Eun Ho’s publishing company. She begins a romantic relationship with him. 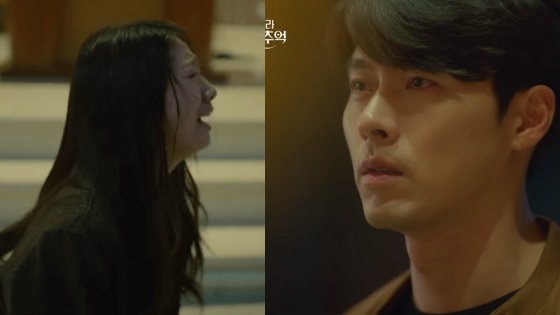 “My Lawyer, Mr. Jo 2” is the second season of the 2016 drama with the same title, the drama is returning for season with a new female cast Go Hyun Jung while Park Shin Yang returns to reprise his role again. It will tell the story of Jo Deul Ho (Park Shin Yang) who gets his lawyer license taken away after a big powerful company accuses him of something he didn’t do. Go Hyun Jung will play the role of Im Jung Hee, a woman who has a cold heart and a dark past. She makes a living selling sashimi in Busan’s Jagalchi fish market hiding her true identity from everyone around her. “What’s Wrong, Poong Sang” boasts a great cast and a heartwarming story. Yoo Jun Sang, Oh Ji Ho, Jeon Hye Bin, Lee Si Young and Lee Chang Yeop lead the cast. “What’s Wrong, Poong Sang” tells the story of a man named Poong Sang (Yoo Jun Sang), he is a middle-aged man who has lived his life to raise his four younger siblings because his parents refused to support them. He didn’t get the chance to live his life, he’s always taking care of his younger brothers and sisters. “Item” tells the story of a prosecutor who’s full of justice Kang Gon (Joo Ji Hoon), he wants to save his niece Da In, to do that he puts himself up against an item that has supernatural powers. He and criminal profiler Shin So Young (Jin Se Yeon) have the ability to uncover secrecy surrounding everyday items. The drama is based on a popular webtoon of the same title. The high-budget Netflix original is coming very soon. It boasts a stellar cast; the cast includes Joo Ji Hoon, Ryu Seung Ryong, Bae Doona, Kim Sang Ho, Heo Joon Ho, Kim Sung Kyu, Jeon Suk Ho, and Kim Hye Joon. 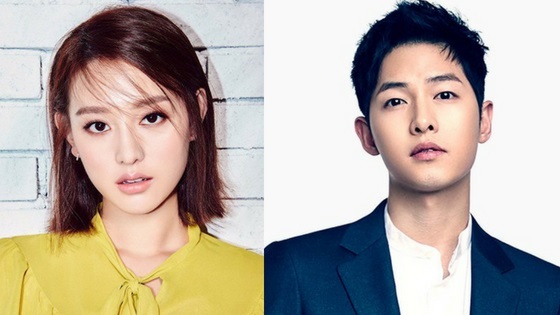 The drama gained attention for being Kim Eun Hee’s webcomic, she previously wrote the hit tvN drama “Signal.” Song Joong Ki was initially offered the leading role but had turned it down. 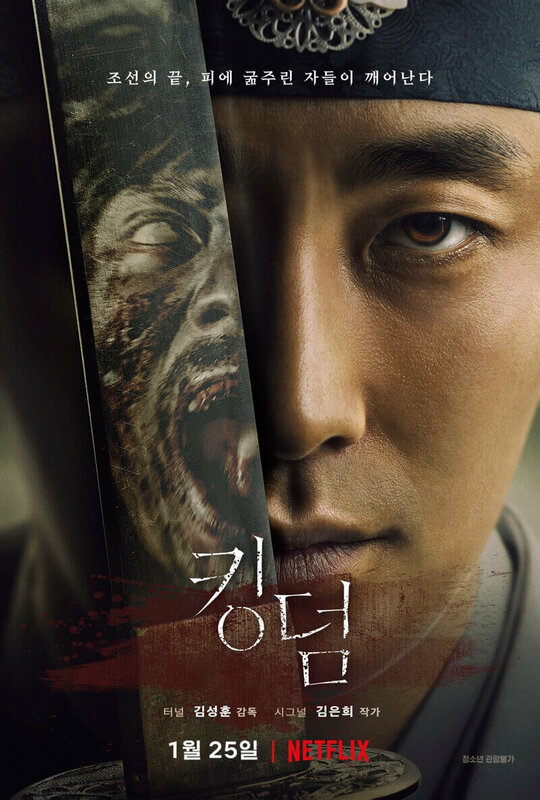 It tells the story of Crown Prince Lee Chang ( Joo Ji Hoon) who gets denounced as a traitor after the dead king comes back to life. He goes on a mission to uncover the truth behind people who turn into zombies if they’re starved for long enough. “Spring Must Be Coming “is led by Lee Yoo Ri, Uhm Ji Won, Choi Byung Mo and Lee Jong Hyuk. “Spring Must Be Coming “is a fantasy comedy-drama about two women who switch their bodies. Kim Bo Mi (played by Lee Yoo Ri) is a selfish TV news anchorwoman who cares only about herself. Lee Bom (Uhm Ji Won) used to be a popular actress but became a national Assembly Member’s wife who focuses on taking care of her family. 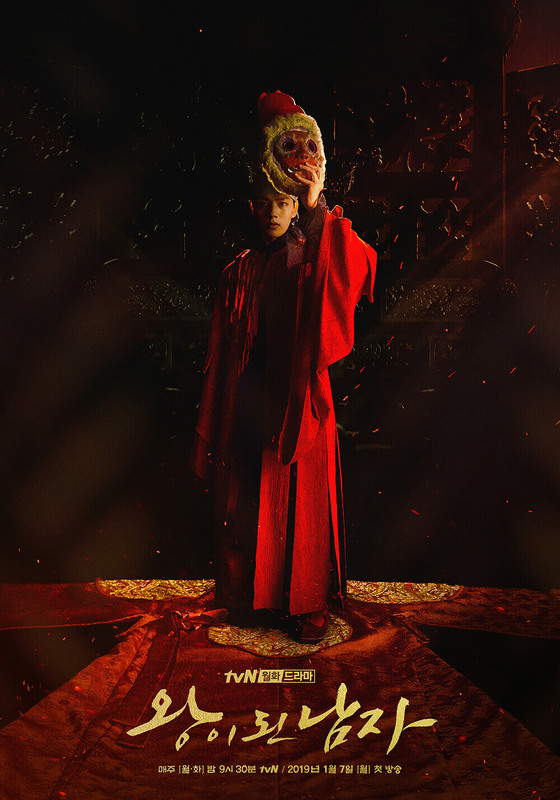 “The Crowned Clown” gained attention for being a remake of the 2012 movie “Masquerade.” Its led by Yeo Jin Goo, Lee Se Young, Kim Sang Kyung, Kwon Hae Hyo and Jang Gwang. It tells the story of King Lee Hun (Yeo Jin Goo) who places a clown named Ha Sun (also Yeo Jin Goo) in his place. The clown who looks very similar to the king and that’s used against him. The clown falls in love with the beautiful queen Yoo So Woon (Lee Se Young). “Touch Your Heart” is a romantic drama about a top actress who goes through a scandal that contributes to her downfall, she gets involved with a grandson of a chaebol and a lawyer with a cold personality. Lee Dong Wook will play the role of cold lawyer Kwon Jung Rok while Yoo In Na will play the role of the top actress Oh Jin Shim. Kwon Jung Rok is a successful lawyer who thinks his office is sacred. He is perfect and always wins his cases. Oh Jin Shim is an actress who fakes her position and gets employed as the lawyer’s secretary, she does that to clear her name and return as an actress. She is quirky and bubbly. “Possessed” is an upcoming OCN drama that is led by: Song Sae Byeok and Gu Joon Hee. “Possessed, “tells the story of a detective and a woman with psychic ability who solve cases together. Kang Pil Sung (Song Sae Byeok) is a detective, he is very good at his job and has a foul mouth, he can both lazy and rough but has a kind heart. Hong Seo Jung (Gu Joon Hee) has great psychic abilities but tries to hide her ability so she leads a lonely life away from others. “Dear Citizens” is going to be an interesting mix of comedy and criminal behavior. 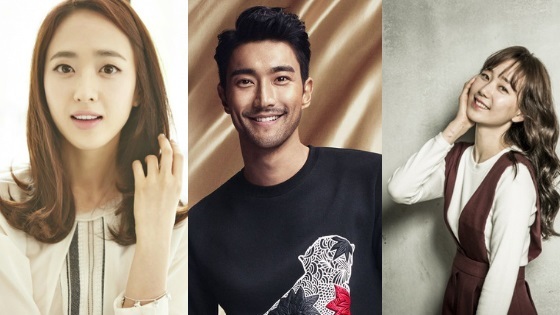 The drama is led by Super Junior Siwon, Lee Yoo Young and Kim Min Jung. The drama tells the story of a con man who got married to a police officer; he gets swept up in incidents and somehow ends up becoming a member of the National Assembly. Super Junior’s Choi Siwon is playing the role of Yang Jung Kook, who is an expert in conning people; he never got caught by police. His family also runs fraud for a business. Somehow he gets scammed by his girlfriend who runs away with their marriage funds, he then meets a woman named Kim Mi Young, he falls in love with her and they end up married, he lies to her telling her he’s Seoul National University alumnus and a businessman who runs his own business but gets the shock of his life when she tells him she’s a cop. Lee Yoo Young is taking on the role of Kim Mi Young, a police detective who used to be a party animal but then quit when she became a detective. She catches her boyfriend cheating on her and ends up meeting Yang Jung Kook. The two fall in love and get married but she doesn’t tell him she’s a cop because her exes hated that about her. On their wedding day, she confessed to him that she is a cop, Yang Jung Kook begins to change. Kim Min Jung will play the role of a mysterious woman who shall serve as the starting point of Yang Jung Kook running for a National Assembly seat. Her father is a known legend in the private loan industry and as his fourth daughter she is brought up to be his successor, but she has no interest in inheriting the business. One day, her father collapses after Yang Jung Kook deceives him. Instead of ruining his life by seeking revenge she makes him an offer to run for a seat in the National Assembly instead. 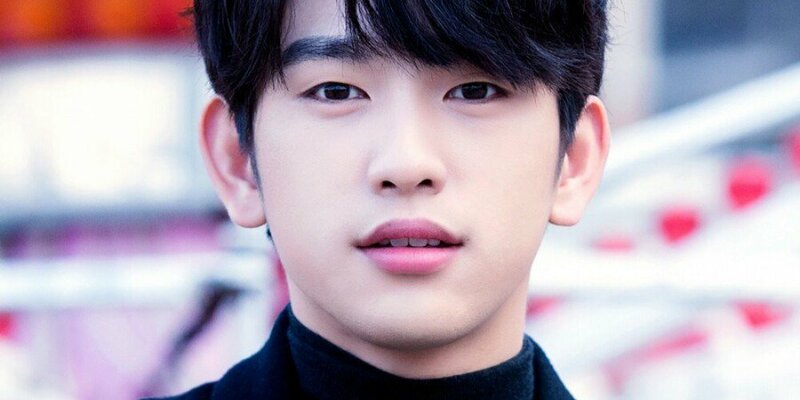 GOT7 Jinyoung will be leading the upcoming tvN drama, he is joined by rookie actress Shin Ye Eun. It tells the story of a guy Lee Ahn (Jinyoung) who has the ability to find out a person’s deepest secrets by touching them, and a woman named Yoon Jae In (Shin Ye Eun) who hides the wound in her heart. Yoon Jae In is the perfect girl, she is beautiful and smart, she comes from a wealthy family and is generous towards others. She transfers to a new school where she meets Lee Ahn. Lee Ahn is handsome but doesn’t have the brains; he wishes to take out evil of this world. Which upcoming drama are you most excited about?